Please include a contact number or email address. When submitting an advert please supply an end date fof removal of the advert. This may be a fixed date based on the requirements of the post advertised, or may be that you wish an advert to remain until the post is filled. Either way we need to know either an end date, or, you need to inform us when to remove the advert. If we don't have an end date, adverts will be removed two calendar months after posting unless we hear from you to the contrary. All adverts will be removed at the end of the season. We also require permission from individuals named in the advert to be able to incude their names, email addresses and phone numbers. Don't forget you can also place advertisements for players and coaches on the England Hockey website: Click here for the EH Jobs/Vacancies page. Get your team sorted for the best hockey weekend, 23rd-25th Aug, in Harrogate ! You have until 30th June 2019 to sign-up your team for our awesome 7 a side festival. It's male teams and female teams, not mixed, on the pitch, just in our hearts and at the bar!! Two days of games and two nights of partying! Drop us an email at -email- with the details of your team (team name, number of players, contact details) and we'll sort the rest out. Fun, friendly, 7 a-side tournament in the lovely Yorkshire town of Harrogate. Mens and Ladies tournament for all abilities. Umpires urgently needed this weekend for at Boston Spa. We are looking for an exciting, forward thinking coach with excellent communication skills and knowledge to take responsibility for our men’s 1st XI training sessions. There is also scope for managing the team on Saturdays if able. The goal for 2018/2019 season is to obtain promotion from Yorkshire Premier League to the North League. 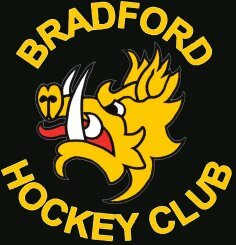 There will also be additional opportunities for the right candidate to help with coaching in other areas of the club such as supporting developing coaches, working with our ladies section and junior teams. Please note that we are looking for the right candidate, not the most qualified. As a club we are willing to help the right candidate with their own goals and qualifications if needed. This is a paid role and that would depend on level of commitment and experience. Please note generous travelling expenses are also available for the right candidate. Boston Spa HC (Men) are on the lookout for a forward thinking Coach to take the lead and develop the Mens 1st XI in the upcoming seasons. Tadcaster Hockey Club are pleased to announce that Tadcaster Grammar School have had a new astro turf laid and so we will be playing our home fixtures at Tadcaster Grammar School. We are all very excited to be moving back to Tadcaster this season. Training starts on 5th September 19:30 at Tadcaster Grammar School and we are always looking for new players to join us! 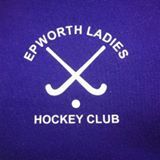 Epworth Ladies Hockey Club are searching for players from the age of 13 upwards to join both out first and second team. 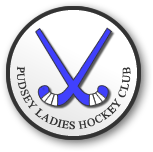 Pickering Hockey Club are in need of a coach for their ladies team. Training is on a Thursday evening and ideally we would like someone to attend Saturday matches. There may also be opportunity to coach the junior teams if the person was interested. We are not in a position to offer a great deal financially but travel costs will be covered. 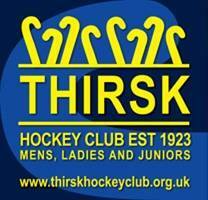 We can offer great fun and friendly players who want to improve their hockey and get the team back up to Div 3! 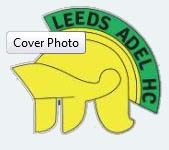 Leeds Adel Hockey Club want an effective, personable coach with excellent communication and tactical knowledge to take responsibility for leading thier Ladies performance training sessions and managing the Ladies 1st XI on a Saturday. The goal for 2018/19 would be for the 1st team to push for promotion back to North Division 1. Hull University are looking for a ladies first team coach. The team have just been promoted in both BUCS and Yorkshire Leagues so next season will play in Northern 3B on a Wednesday and Yorkshire Division One on a Saturday. We would ideally need someone who could coach the team on either a Monday or Thursday evening and potentially make matches on either a Wednesday or a Saturday. This is a paid role, salary to be confirmed based upon level of experience and availability. At this stage we are willing to listen to any expression of interest for the role of ladies first team coach. Please feel free to get in touch via email or mobile. If interested please contact Emma Bickley via either email -email- or Mobile: 07864 184778. This is a mixed 6-a-side league that runs on a Thursday from October to December, dependent on interest, between 6.00pm and 7.30pm. The league is open to students and community teams. This would be a great opportunity for a development team or regular back-to-hockey players who want to play some semi-competitive fixtures, or for junior players who are looking to make the transition into adult hockey. There is no entry fee for the league and matches only cost £15 per team.